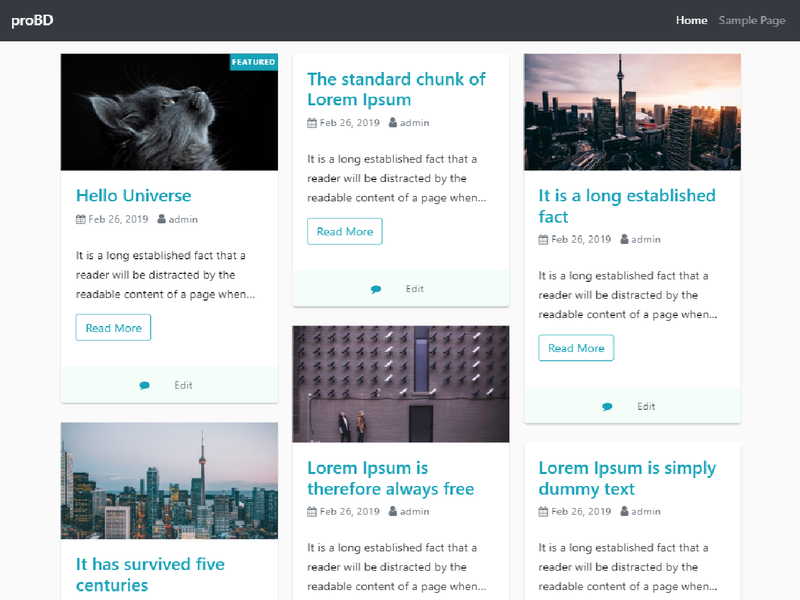 ‘proBD’ is a simple, allegiant & easy to use WordPress theme. It features custom styles for all the default blocks of new block editor. It is based on ‘UnderStrap’ starter theme. It’s also based on ‘Bootstrap 4’ front-end framework. It is a light-weight theme.